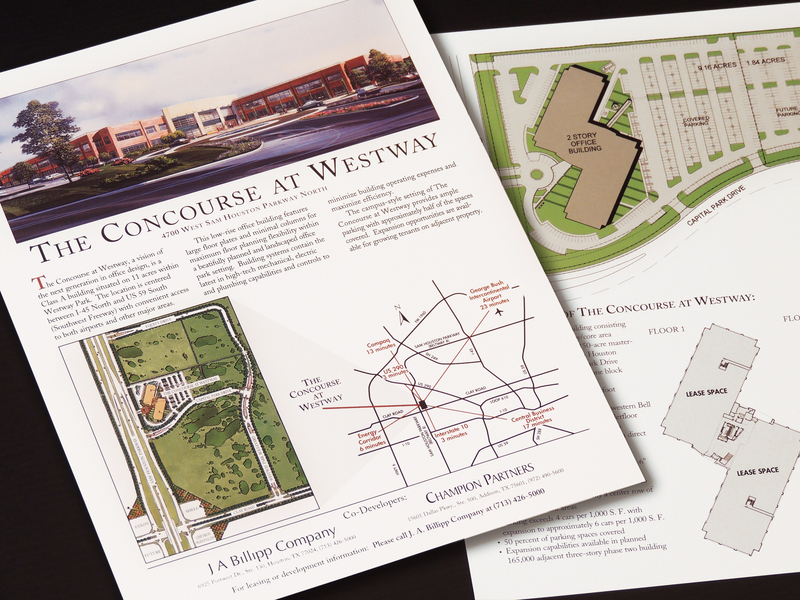 The client wanted a western-flaired invitation to a barbecue at a new office building that they were leasing. 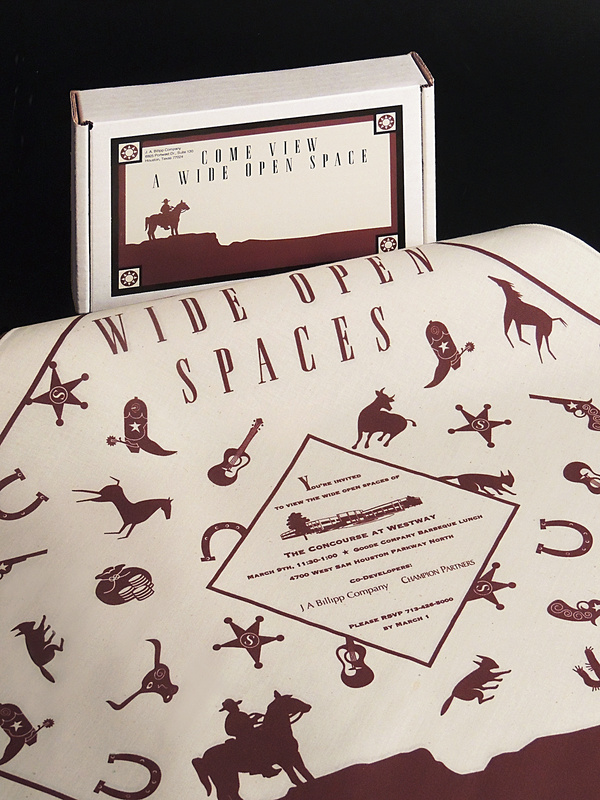 We presented a bandana concept that had the event invitation printed on fabric, and it was mailed in a specially designed box. The client was delighted because many of the attendees actually wore the bandana to the event. A flier was provided for event guests so they could read the specifics about the available spaces as they toured the building.